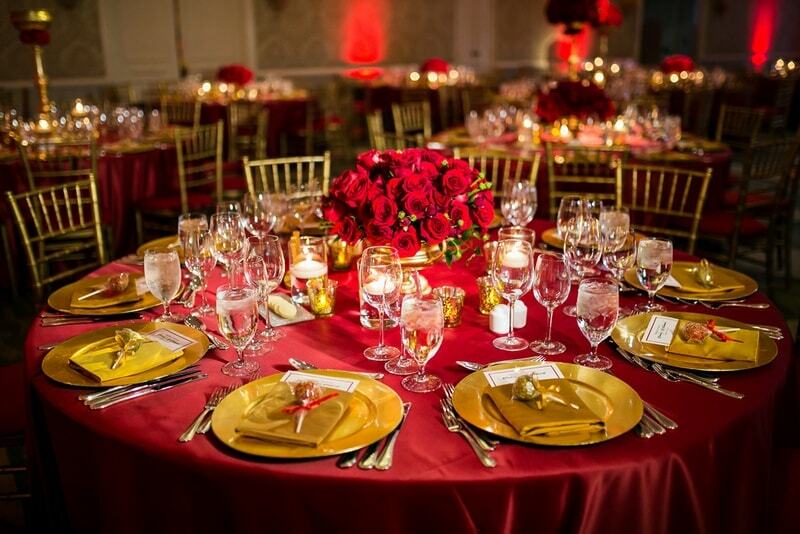 Red has always been a number one choice of brides as it symbolizes love, desire, passion. 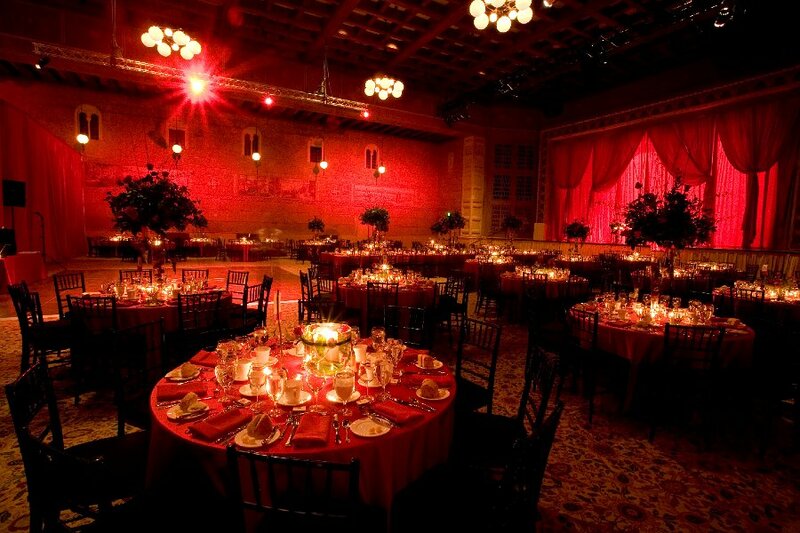 Red being a luscious color can be used in so many ways when it comes to celebrating the union of two souls. 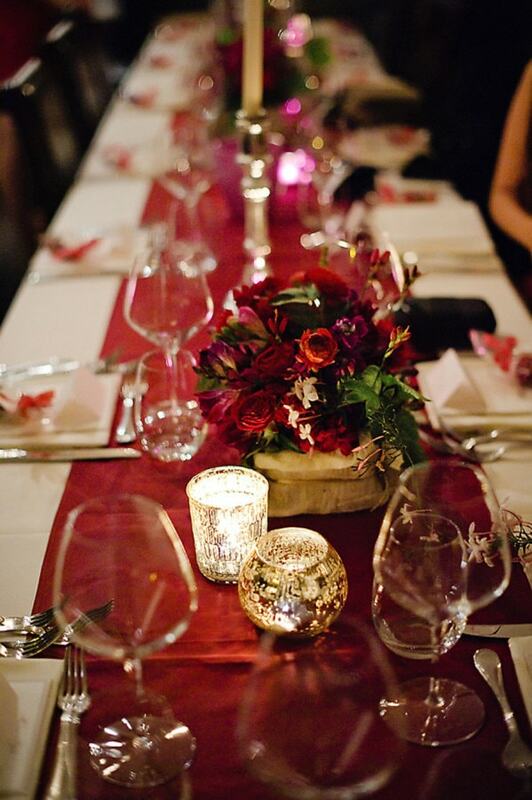 We believe that our traditional wedding celebrations are incomplete without the touch of red color. 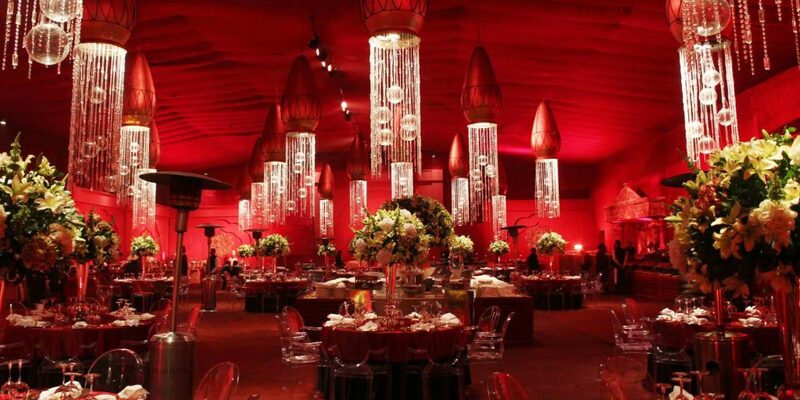 The charm that red color adds to the overall celebrations is unmatchable. Always keep in your mind not to overdo the color and keep it minimal. 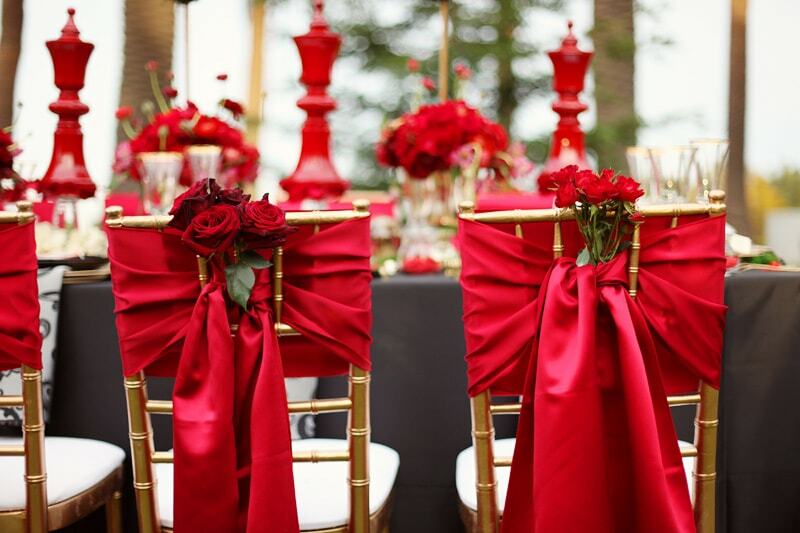 From crimson red to mahogany, there are many different shades of red that you can use in your wedding décor. 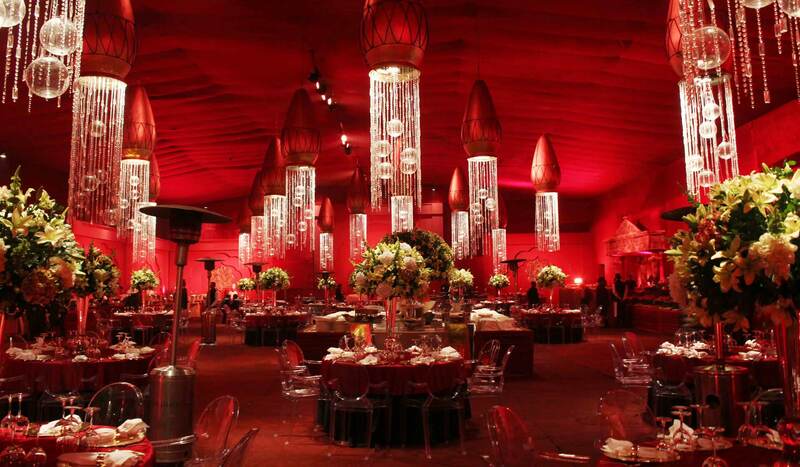 Here we are going to share some brilliant shades of red for your wedding décor. This strong color has won our hearts over and over again because of its versatile combos with other colors. You can incorporate this color in your décor by using crimson red drapes for chairs, floral hangings and tablecloth. This luscious Pantone color of the year 2015 is still ruling the color palette when it comes to weddings, after all, who doesn’t like the little touch of romance on their big day. We suggest you pair this heavenly shade with navy blue as both colors are warm and perfect for winter or autumn weddings. if you are using this color for your summer wedding, you can use it with gold or blush color to elevate the décor. Poppy red is another beautiful and bright shade that will bring the spring vibes to your wedding décor. There are no limits to the ways you can use this color. You can serve poppy colored drinks or juices to your guests. You need to add an accent color like soft pink with poppy red to balance it out. Light green, yellow and blush pink can be an excellent choice for a perfect color combo with poppy red. Mahogany is a reddish brown shade of red that can perfectly set the formal atmosphere of your wedding reception. This elegant shade needs no introduction because of its popularity among brides for their bridal dress. Before going for this color scheme, you need to make sure that your bridal dress won’t clash with your décor. Introduce this color with blush and gold to balance the shade. This harmonious hue can easily emanate vibrant vibes for your festive occasion. If you are looking for some luxe color scheme, then paired it up with gold or blush for your elegant ceremony. Create a magical environment for your guest. This awe-inspiring color is perfect for lighting. Introduce this amazing color in your décor to enhance the intimate vibes. Choose the shade that fits your personality and let your wedding planner handle the rest. 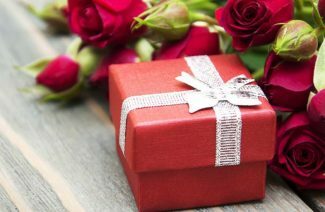 Red is a versatile color that you can use in so many different ways without spending too much time on planning about it. 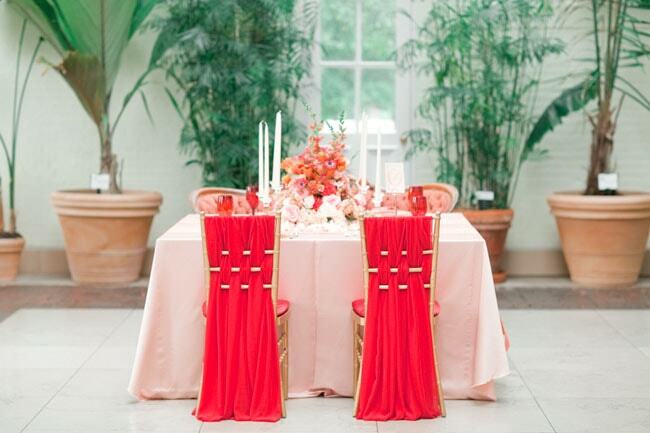 Five shades of red to consider for your wedding Decor. Choose the shade that fits your personality and let your wedding planner handle the rest.